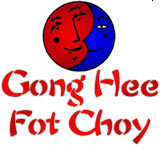 Gong Hee Fot Choy, or "The Greetings of Riches" is a system of divination developed by the early twentieth century mystic and traveler Margaret Ward. While primarily Chinese in origin, Ms Ward drew upon the traditions of many cultures to produce this very unique form of fortune telling. The basic tenet behind Gong Hee is that the good in the world vastly outweighs the bad. Therefore if someone studies their Gong Hee spread they will learn where the good and bad reside in their lives and use this information to ensure they reach their goals. To create a Gong Hee spread for yourself, concentrate on your life, dreams, goals and wishes. To personalize your spread you may enter your name, and/or a specific wish or question below. Then click the "Go To My Gong Hee" button.